The inner four moons, Naiad, Thalassa, Despina and Galatea, orbit within the ring system. Larissa, Proteus, Triton, Nereid and the five small outer moons orbit beyond the ring system. 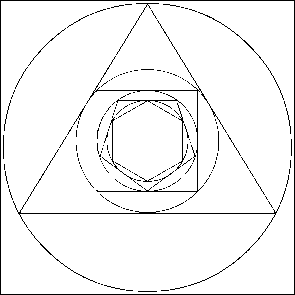 Four of the moons have retrograde motions - Triton, Halimede, Psamathe and Neso. Many of the names of Neptune's moons come from the nereids or water spirits of Greek mythology. 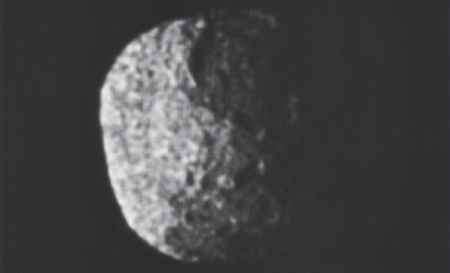 Prior to the visit of Voyager, Nereid was thought to be the second largest moon of Neptune. However, when Voyager discovered Proteus, Proteus was found to be larger than Nereid. Apart from Triton, all the moons of Neptune are irregular in shape, being too small to form uniform spheres.